We at Golden Ocean Hotel welcome all our esteemed guest with a smile ensuring best comfort and priority. Experience your satisfactory expectations from our qualified staff and service. 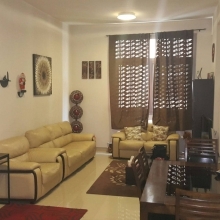 Located stratically close to Al Corniche which is a focal point in the City of Doha. We are 4 km away from the Doha International Airport and 10 minutes walkable distance to Souq Waqif and other amazing attractions. With our comfortable and spacious rooms, caring & smiling staff we are completely committed to making your stay at the Golden Ocean Hotel a memorable one. Thank you once again for choosing the Golden Ocean Hotel and we assure your stay to be exciting, fulfilled and memorable with us. Stay with us and experience the Golden Ocean Hotel truly as " An ocean of endless hospitality. "